Should Young Children Have Service Dogs? Darwin believed that musicality was a capacity of all animals, human and nonhuman. Dr. Henkjan Honing is researching how animals respond to music. 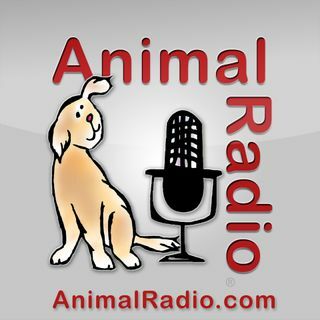 He tells Animal Radio what he has learned about how dogs, birds, monkeys, sea lions and cockatoos interpret musical nuance. An Ohio family is facing a deadline to find new homes for their alpacas, which they consider therapy pets. A neighbor claims the alpacas are a nuisance because it’s turned his neighbor’s backyard into a smelly pasture. The alpaca owners say they’ve been cooperative with the city and have already re-homed two alpacas. They now claim that they clean up after the remaining duo on a daily basis. These alpacas are not outside all the time though. They are indoor-outdoor pets. The owner claims alpacas are quieter and their poop smells less than a dog’s poo. The FBI has issued a warning on pet adoption scams. Beth Anne Steele of the FBI says, “Fraudsters are prowling the web to find families who are so desperate for the perfect pooch that they are willing to adopt sight unseen.” The scam usually starts when someone comes across a pet adoption ad online then unwittingly engages with the scammer and proceeds to pay a series of fees.